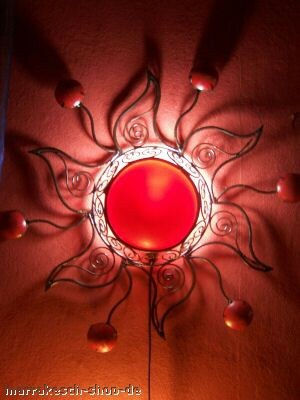 Sun hours, individual, sun-like light source has remarkable accents. 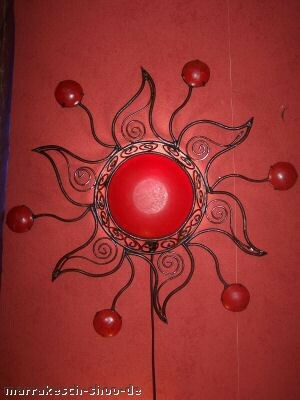 When the days are getting shorter simply bring home the warming sun of the Orient and enjoy sunny moments. 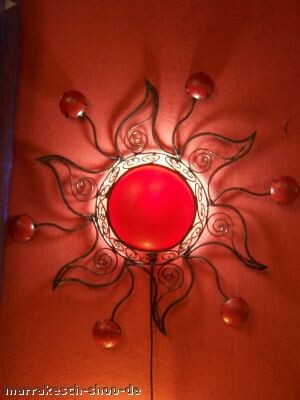 These lamps were manufactured in painstaking handwork. 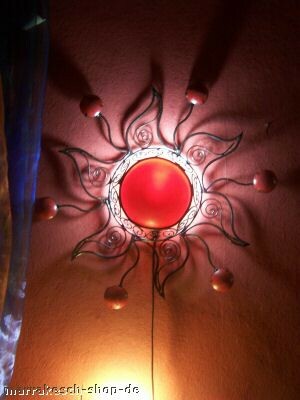 In the case of the sun lamps, the forged iron handicraft is a particular feature. The metal was particularly worked and treated in an acid bath, so that a rust patina is formed. Then the painting is implemented. As a result of the synthetic resin processed here, the light appears especially harmonious. You determine the duration of sunshine here. © Copyright 2019 Company Marrakesch. All rights reserved.